For those who are parents and love their childrens it is a fact that every child in the world have the right to be loved, to have a place to live and to go to school. 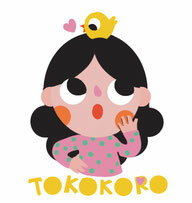 Tokokoro develop its "social responsability work" with the goal to contribute so that the children of the world enjoy their right to the game and to the education and to a better world. 1. To promote the right to play of children. 2. To defend the right to education of children. 3. To improve the quality of life of the children in the material, emotional and educational plane so that they have a better future. They bring united education to the families, to our guests, adults and children. Are you a person with a great desire of changing the world? Than join us! Being part of TOKOKORO'S group, who give an important support to the actions that we develop with our collaborators, good spreading our united work or our products destined to assemble funds to give them to the associations that look over the infantile well-being. ONGs and national and international entities dedicated to the protection of the infancy and to the education in the whole world. The social Tokokoro commitment is permanent, for it current actions exist in different ambiences and in all the seasons. TOKOKORO will mantened you up to date of our own projects as the inciatives in social networks as Instagram, Facebook or tweeter.